Finding the best ice fishing boots is a tough challenge for most anglers looking for that perfect pair to provide warmth and offer ultimate protection for their feet when ice fishing in winter conditions. That is the very same reason we’ve done our research and created this guide to take out the burden off your shoulders when shopping for the best boots for ice fishing on the market right now. Later, we’ll also discuss some buying tips and boots characteristics to look for in order to keep you informed when choosing the right ice fishing boots for your needs. If you’re ready come on in and let’s start with some of the most popular angler boots around. A top-rated ice fishing and snow boots online, these snow boots come either in expedition gold or black and they are one of the most favorites among anglers looking to get proper feet insulation when fishing during winter. Many of them love the man-made sole, adjustable strap for the ankle, back pull loop and hoop and loop closure. They also appreciate its polymech foam, which they find comfortable and useful all the time for its form-fitting characteristic. On the downside, some users noted that the boots weren’t convenient because they’re bulky. These ice fishing boots are chosen because of the sufficient insulation they provide, coming at -40F rating and the 7-layer removable insulated inner system. They come with rubber sole, providing more warmth and have polar-proven grade to keep your feet toasty warm, even in extreme temperatures below zero. 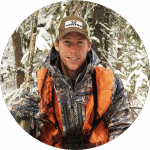 Aside from ice fishing, these boots also work for tree stand hunting and meet lockers. They are water-proof and so you don’t need to worry about water and snow getting into your feet, ensuring they stay dry. When looking for supreme arctic protection, there is no need to look for any other by wearing this Baffin winter boot. Made in Vietnam, this is another top-rating ice fishing boots you can buy from Amazon at low prices. This model comes with a modern yet old fashioned hiking detailing, resulting to an all-in-one functional and stylish ice fishing boot. They are made with full-grain leather toe and heel cap for best protection against the cold weather. Helly, for years, has been known to produce top-quality and long-lasting foot gears and has been recognized by thousands of fishers, hikers and leisure-loving creatures all over the world. Users reveal that this is one of the best footgear they have ever bought and some of them noted how it provides them with adequate feet protection from the cold, keeping their feet warm and toasty when ice fishing and doing other arctic activities they love! 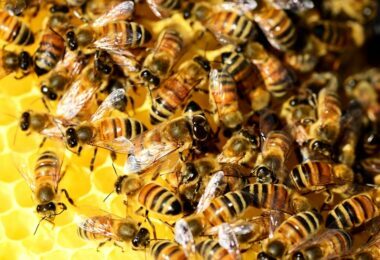 The product, however, may be pricier than its counterparts. Garnering an average rating of 4.6 out of 5 stars, these boots are some of the best ice fishing boots on the market right now. Some users reveal how these are very incredible, providing them the comfort that they have been looking for. The product comes in either black or fluorescent green and made with rubber sole for best insulation results. The product is made by top US maker Baffin, so quality would never be a question. Its shaft measures 14.75 inches from the arch, its heal measures 1.5 inch and its platform measures about one inch. Finally, the product comes with a unique 8-layer of removable inner boot system and has a cold-tested polyurethane base and a tapered seam construction. Best part is that these boots are waterproof, both on its base and upper portion. Choose from a wide range of colors, including black and brown of the Sorel arctic boots for women that may be yours if you are looking for top-quality, long-lasting footgear. These boots also feel and look sturdy and so good they are very fashionable, too. This product is made with imported leather, rubber sole and faux fur cuff. Its heel measures about one inch and its shaft about 11.5 inches from arch. Best part is that they come with vulcanized rubber shell and seam-sealed waterproof make. A user reviewed this product and noted that she loved how these boots are perfectly snug for her feet and that it provided her with sufficient insulation. She also said that these boots made her feel safe and warm without a doubt. One user reported, however, that these boots did not keep her feet warm when she was outside for long hours. 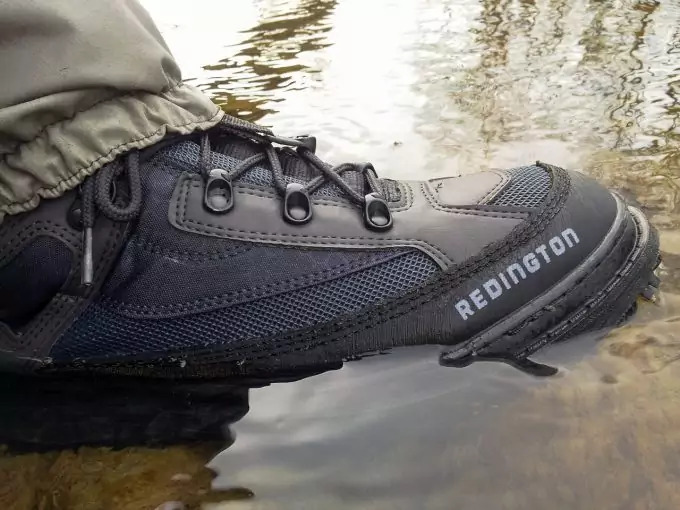 One of the top-rating ice fishing and arctic boots known among those living in cold locations who love fishing, the product can keep your feet cozy and dry most of the time, especially when fishing during extreme freezing temperatures. These boots are comfortable and convenient because they are lightweight, breathable and waterproof. They also feature the known Thinsulate for incredible warmth and they give proper traction needed in icy conditions. They also have an EVA-cushioned midsole for increasing stability and for improving foot security on wet surfaces. Most reviews of the product are positive especially because the boots feature more of the characteristics users are looking for. Known for their long-lasting and tough performance, the Sub Zero boot from IceArmor can be for you if you are looking for the best boots for extreme weather conditions when enjoying winter activities, including ice fishing. The product comes with waterproof rubber exterior, providing durable and reliable wear and is lined with 1200 grams of Thinsulate, giving that maximum insulation. Not only that they offer great insulation, but they also offer an easy on and off with their cut out handles. If you are looking for dependable and long-lasting winter boots, you may want to take a look at this product that garners mostly positive reviews from its users due to its better insulation, ice traction and great design and fit. 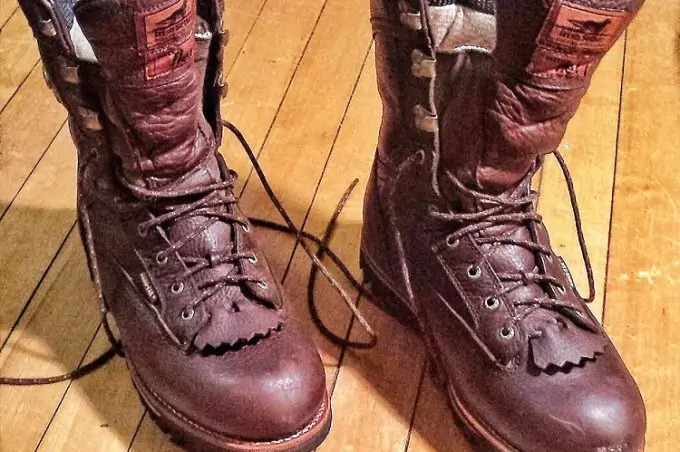 On the downside, some users said that these boots may be bulky, although these are isolated remarks that do not reflect the general public consensus. Featuring a full-insulation protection for hunters, anglers and hobbyists that love to do winter activities, such as ice fishing, these Irish Setter boots are popular! This product features a cushion comfort tongue technology for minimizing shin pressure and comes with the double EE width for accommodating your favorite technical winter socks for incredible warmth even in long hours of exposure in the cold. See also our reviews of the best winter socks to keep your feet toasty and snug. 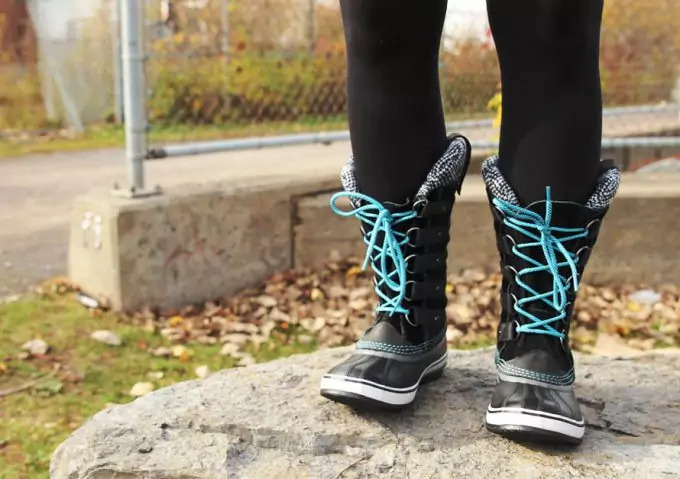 Users reveal that these boots are great from the get go and provide them an adequate protection from the cold. They also love the boot’s perfect fit, keeping them feeling comfortable all day. On the other hand, some people report that that the boots are too wide, but these happened to users who have narrow feet. Nevertheless, the product gives users that perfect comfort and fit to keep going through their day of ice fishing or winter hiking. It measures 12 inches in height, two pounds per boot and made with leather welt construction material and comes with a steel shank. 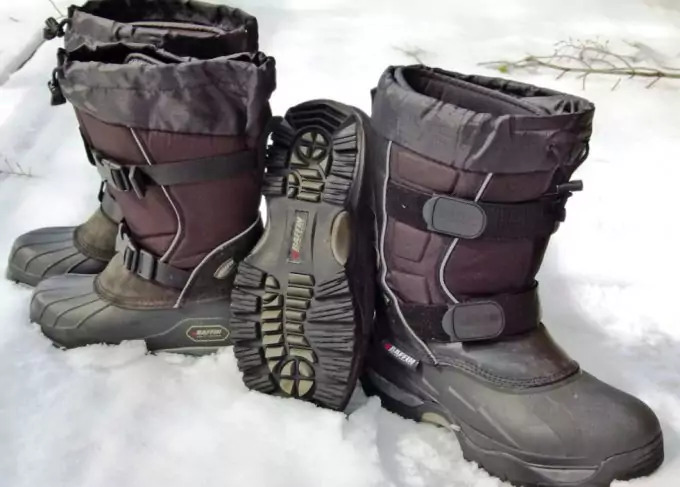 Proven and tested to keep up with extreme conditions at the Everest base camp, ice fishing in Michigan and snowmobiling in Northern Maine, these boots are very effective in providing proper feet insulation. You can keep your feet toasty warm even in long hours of exposure to the cold. Users note that these boots are perfect for their leisurely winter activities, including ice fishing and winter hiking. Its height is 14 inches; weight is 2.6 pounds per boot and is made with timberwolf leather material. They love its full laced shaft for providing them a custom fit that keeps them comfortable all the time. On the downside, some users reveal that this pair of boots is quite a little bit more expensive than other products they bought. Nevertheless, they say that it best serves its purpose! One of the best Baffin boots, this model is for the elite fisher and winter hiker! These boots are used by dog sledders in Alaska and by adventurers in the North Pole. Baffin Impact is also used by the mountaineers climbing the Mt. Everest and those who love ice fishing in the cold Wisconsin. If you want to make use of the perfect boots to keep up with extreme weather elements, you can opt for these Baffin boots to serve any purpose. The boots measure 16 inches in height and weigh 2.2 pounds per boot. They are made with durable Diamond Lite insulated nylon and base of arctic flex rubber and deep rubber traction on the outsole. Most users note that these boots are perfect for providing them that warmth they have been looking for and say that this pair of boots last long than other that they have bought. They also reveal how this pair keeps them safe when hiking or ice fishing with its traction system. Many of them also reveal how they love its cold-resistant polyurethane midsole material and its reflective underfoot air bubble. As a disadvantage, these boots may be too wide for those with narrow feet. From the maker of some of the best boots for winter comes Bobcat K Zip, the perfect pair you will love if you are looking for that great comfort and fit. Some of its key features include its four-way stretch neoprene expansion darts, oil-tanned leather upper, durable zipper that allows an easy one-hand removal when you’re in hurry and its sewn-in liner that is combined with wool and Thinsulate. For superior warmth, the product comes with a ten-inch waterproof protection layer. According to user reviews, they find the Bobcat K Zip boots to be one of the best they have ever bought for the great insulation and protection they provide them when doing their most-loved winter activities, such as snowmobiling, ice fishing and winter trekking. Part of this list of the top ice fishing boots, the Alaska Boot should never be left out because it may be one of the most dependable winter foot gears out there that fishing and adventuring enthusiasts would be proud of wearing. Some of the great features this model offers are its heat-shield foot bed and its lightweight insulation protection that is made from bamboo and charcoal. It also comes with multidirectional lugs on its rubber outsole. 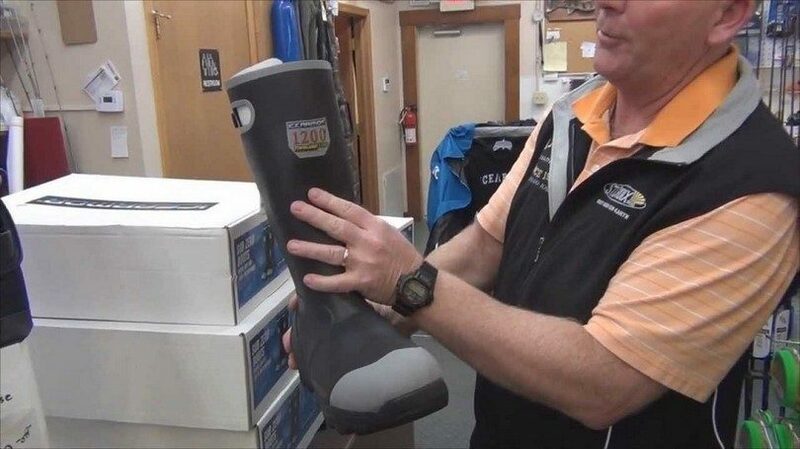 For some users, they love its lightweight design, making it perfect for transport and wearing even for long hours, but some users note that the product may not be ideal for someone looking for complete ice fishing boots features that other boots offer. Nevertheless, the product is appreciated for its affordability and waterproof and breathable characteristics. Valued at an average of $199+, the Intrepid Explorer may be for you if you are looking for comfort and insulation for your feet when doing winter activities, such as mountain climbing, snowmobiling and ice fishing. The product comes with synthetic upper that has a built-in gaiter, keeping the snow out. In addition, the product comes with multidirectional lugs on its rubber outsole. The list above contains some of the most-loved ice fishing boots on the market right now and we hope that it helps you in finding the right pair to accommodate your needs. 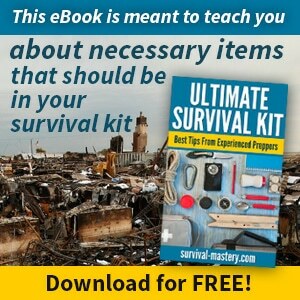 If still think that we don’t cover everything, try to check out here – our friends from Wilderness Mastery also did their research. 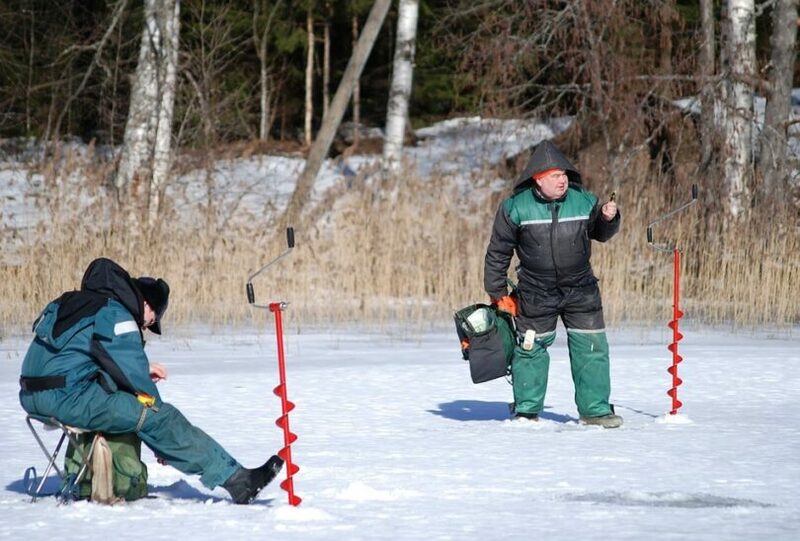 In this section, let us discuss some of the key pointers when shopping for ice fishing boots. And let us begin by taking note that finding the right pair for has something to do with selecting the product to offer you that insulation and flexibility you need and that suits your local conditions and outdoor activities, such as ice fishing. When it comes to form, the old-fashioned ice fishing boots often are made with natural upper and then rubber lowers. They also have removable liners and a well lace-up front, resulting to great insulation. However, they are usually bulky, giving a loose fit, especially to those with narrow feet. 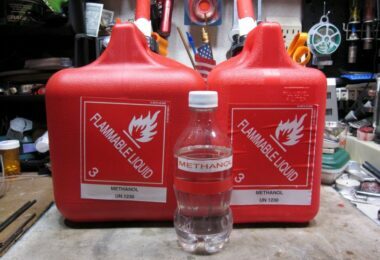 On the other hand, remember that synthetics may be generally lighter and more flexible and that they are easier to walk in and snugger. When it comes to function, including optimal comfort and warmth, you may want to opt for high quality boots that come with proper EE width for accommodating thick winter socks. And speaking of function, most ice anglers go for pac boots because they have waterproof base and rubber exteriors, keeping your feet dry all the time. They are suitable for ice fishing because they stay dry eve when walking in wet snow and drilling ice holes. 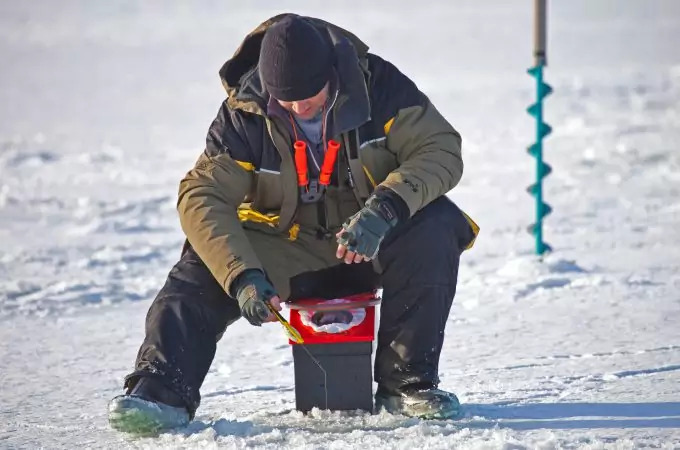 In most cases, ideal ice fishing boots also come with rubber base that is attached to the boot’s heavy-duty leather, nylon and other heavy-duty materials in forming the boot’s upper portion. 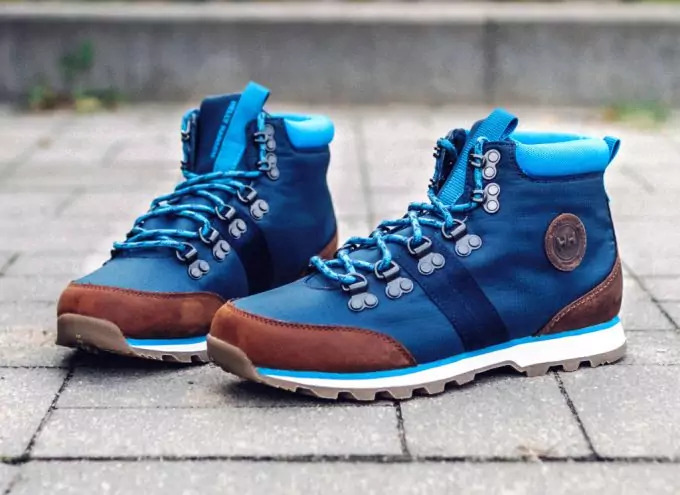 If buying these boots, you can opt for one that can cover up to your calf for perfect insulation and protection even in thick snow conditions. There should also be a gaiter on the upper boot’s top for sealing out elements, especially snow. In addition, you have to see the fastening system and some of which may be buckles, zippers, laces or a combination of these, all for securing features. A suggestion: You may opt for the type with zippers or buckles because they may be easier to close even if you are wearing mitts or gloves. 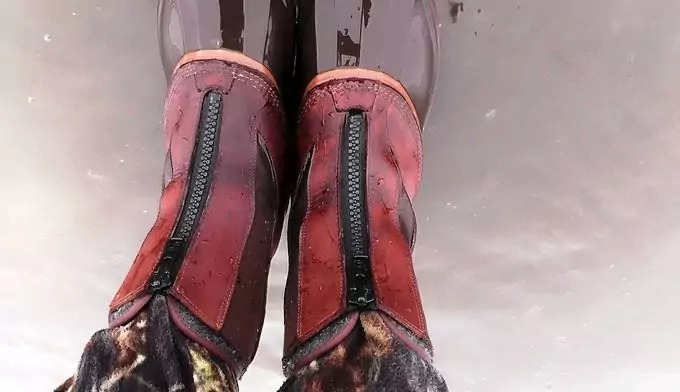 Then, see the liners when choosing ice fishing boots, as they are useful in speeding up the drying time of your boots, especially ideal if you are going for the trip for several days. When it comes to design, ice fishing boots vary, so what you have to do is to focus your research on the type of boots that can adapt to your specific outdoor activity or in extreme weather conditions. You have to steer clear of products, such as urban boots, which may be stylish but they will not work for icy conditions. Choose boots according to the features you are looking for without compromising the style you desire to get. There are good stylish boots to find, and some of those we’ve featured above. Nonetheless, select the boots to withstand extreme weather conditions and provide you with that ultimate insulation and protection. 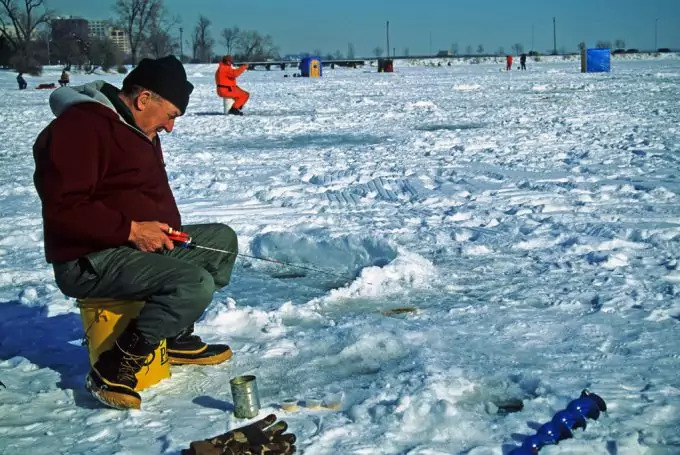 There are some ice anglers that go for rubber boots, which also work well in keeping their feet dry; however, these may only be suitable as reserves when the winter condition is not that bad. Remember, they can keep your feet dry, but they do little to nothing when it comes to insulating your feet against the cold winter temperature. Between all that sloshing water and snow and being exposed to cold conditions for hours when ice fishing, your feet should be kept warmth; else, they will freeze! Check out the boots we have featured here as well as buying tips and characteristics when shopping for that perfect ice fishing boots. Finally, don’t forget leaving your comments if you think we missed your favorite boots here, or sharing this guide to angler friends who might find it useful. For more information on what winter gear to add to your backpacking gear list, see our article on this topic.